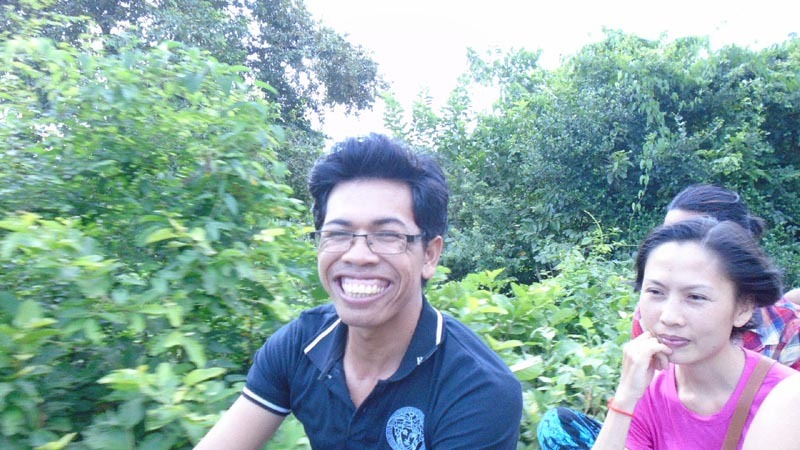 As if the adventure wasn't enough, Sokun brought me and Tuyen, a Vietnamese Vipassana fellow server at the Battambang meditation course, to the house of his artist friends - Robit and Cheanick, both Vipassana meditators too. We saw their art work and listened to them play music. They invited us to join them for a sumptuous lunch consisting of viande, fresh herbs and spices. It was a simple lunch but it was one of the best I've had in Cambodia. The dynamics of being in conversation with people from different parts of Asia (Vietnam, Cambodia and Philippines) and talk about something we all hold dear - Vipassana, provided fresh insight and fortified our resolve. 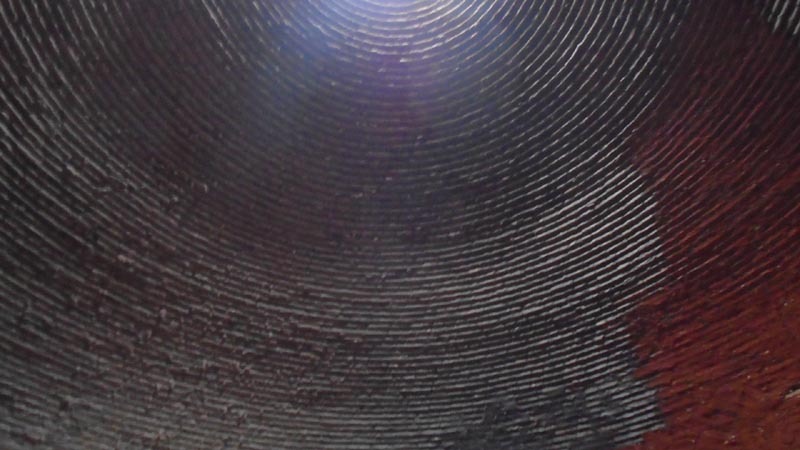 We shared the changes that transformed us in practising Vipassana in pursuit of Dhamma (truth as it really is, not what we want it to be or how it is supposed to look like). 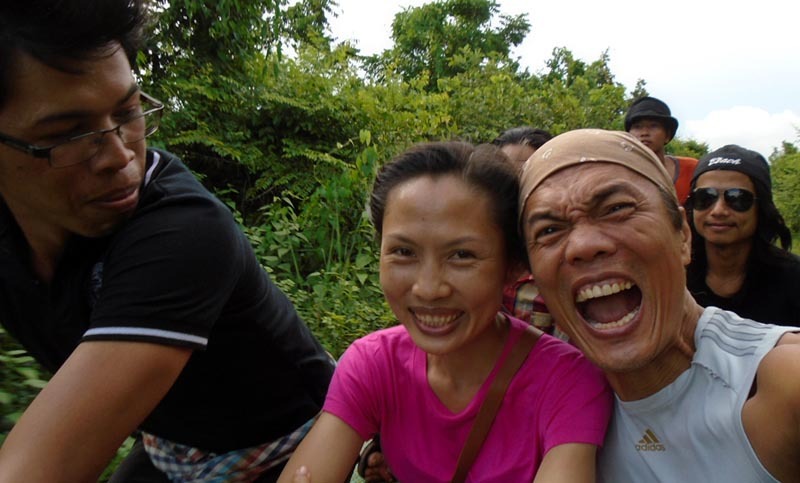 After the hearty lunch, we headed out for the bamboo train ride on two motorbikes. 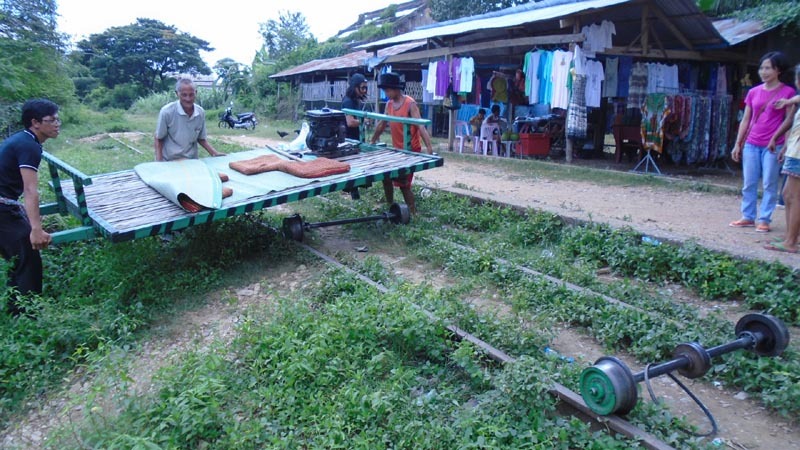 The bamboo train is a motorized make-shift open-air train car with a bamboo floor used by the locals for local rail transport on an abandoned rail line. 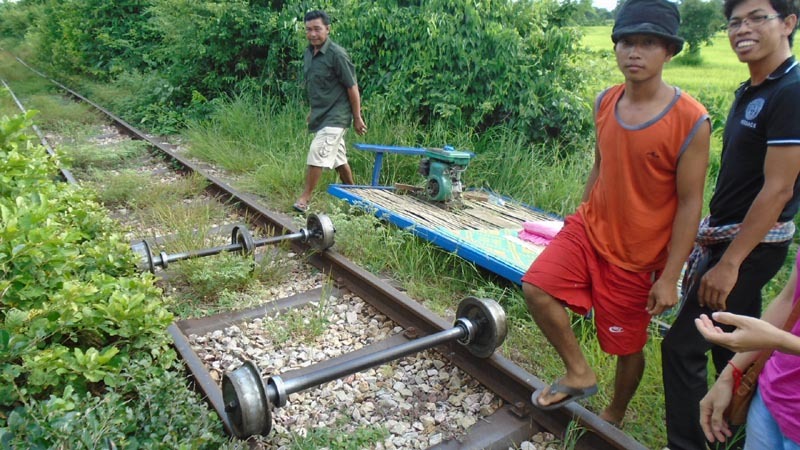 The body can be dismantled immediately in case there is an oncoming train. The train with the least amount of passengers gives way. 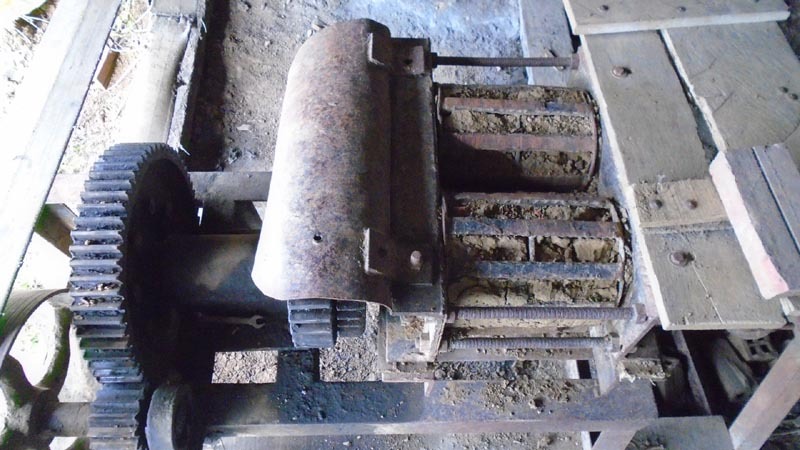 The chassis is lifted up and the wheels removed from the rail - only 3 parts to move. 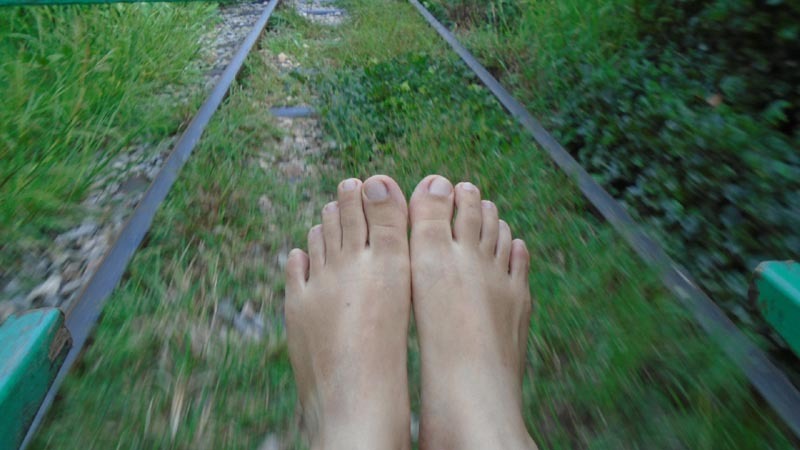 It goes around 40 kms/hour (that's how it felt like) along rail lines whose connections are not exactly seamless - you feel the gap and misalignment between the rails by way of a bang and a jerk. But I guess that is what makes it fun. Locals get a preferred rate while tourists pay $5/head. 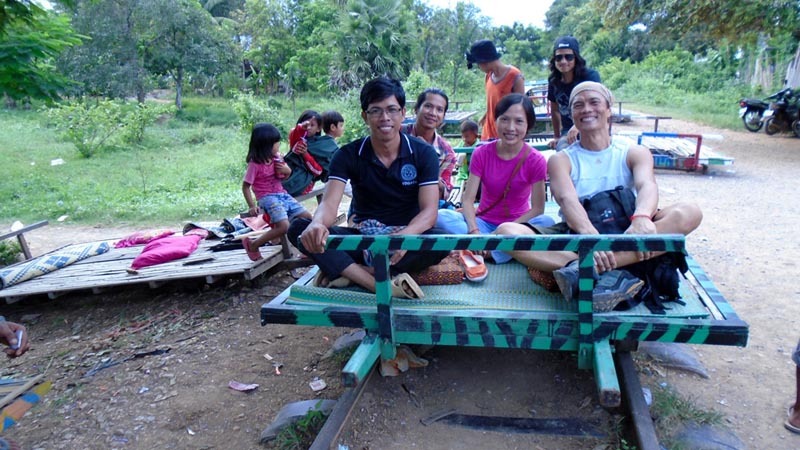 With hardly anything to hang-on to, the five of us boarded the train and took the 15 min, 6km ride. 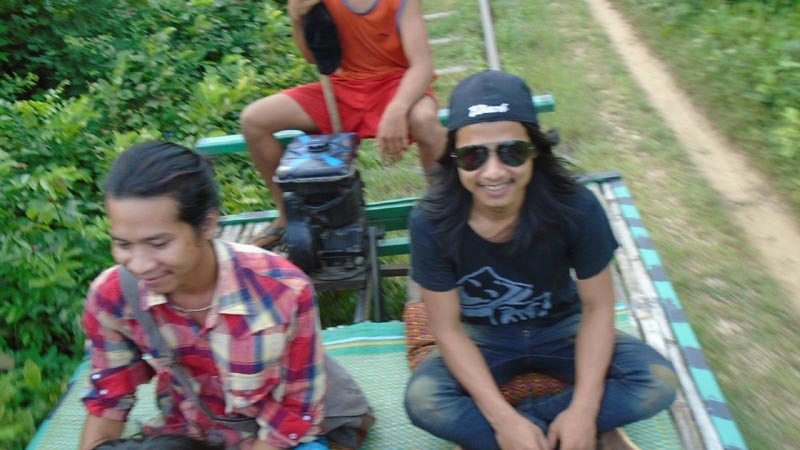 We saw birds, crossed rivers, stopped and dismantled the train for on-coming trains, but mostly, it was pure fun riding at that speed while seated on the bamboo floor with nothing to strap you on as you get jarred on every misaligned rail connection. 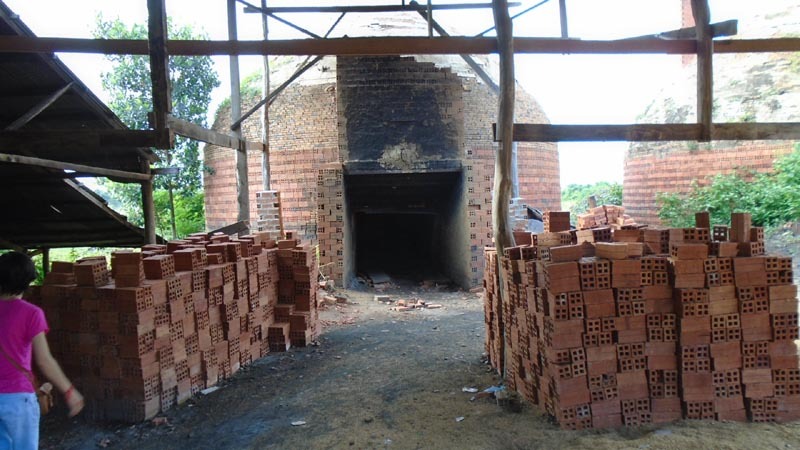 At the end of the line, we had about a 30-min stop where we roamed around the nearby brick-making factory. Most of Cambodian houses are made with bricks and layered by an outside coating. This allows the house to stay cool when it's hot, and stay warm when it's cold. After 30 minutes, we returned to the tracks for the same fun ride back. Thank you Sokun, Robit and Cheanick! You guys are the best!! !